You know when you see a shoe and you instantly think of a friend or family memeber- if someone had to pick a type of shoes to describe me, they would be sky high and leopard print. As soon as I saw these beauties they instantly reminded me of Holly (aka Moho). Now anyone who knows Holly will know that Holly doesn't do heels that often, and when she does they have to be tiny heels or her feet will be hurting. Last August when we went out for her second hen do, one of our friends Stacey had THE MOST fabulous pair of glitter heels on from Irregular Choice and Holly was obsessed with them. Cue our last night out together in February and Holly pulls out a pair of jester-esq shoes from the brand. In all honestly I couldn't imagine seeing Holly in high heels this high- she'd end up breaking her ankle. I definately think she would have these as one of those pairs of shoes you have on a shelf and occasionally look at/stroke. 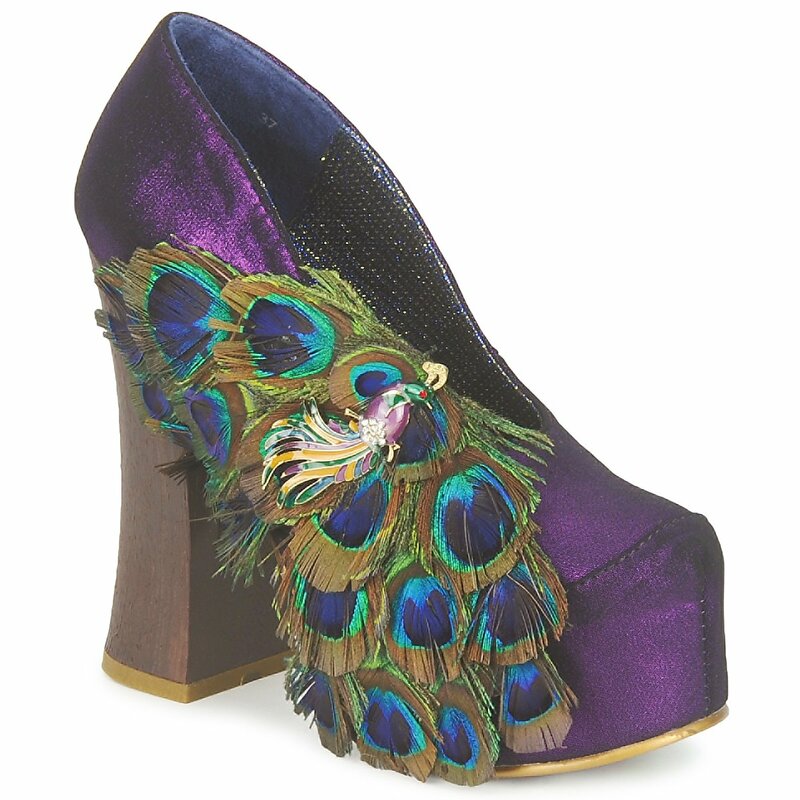 How fabulous are the peacock feathers- they definately remind me of Vivienne Westwood (ie Naomi Campbell falling over) shoes. And the best thing? They'll way more cheaper than a pair of Viv. Those shoes are gorgeous. Bloody stunning, want and need them.